Save 56% on this highly-rated temperature and humidity monitor! 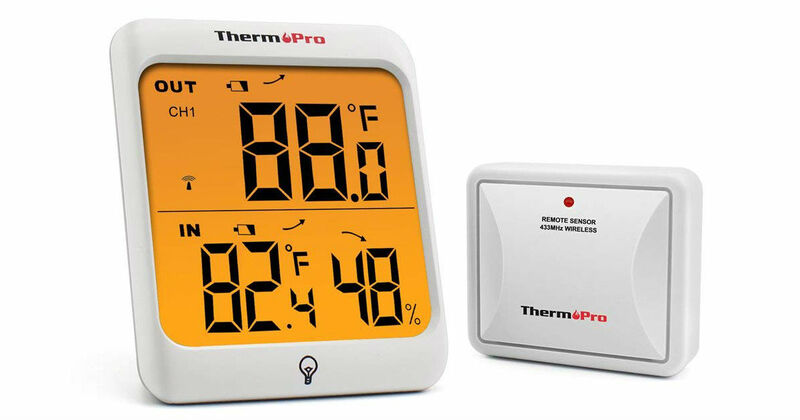 Head to Amazon to get this ThermoPro Digital Wireless Hygrometer Thermometer for only $22.09, regularly $49.99. A touchable backlight LCD screen displays indoor-outdoor temperature and indoor humidity with trend arrows and high and low records, keeping you aware of the changes in your living conditions.